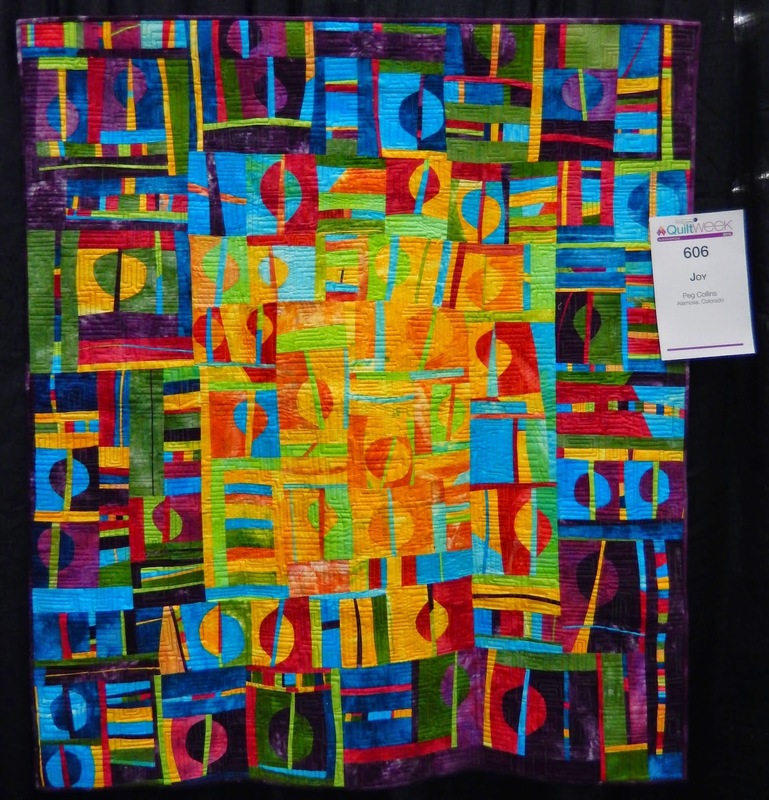 I'd like to return to to return to some of the stand-out, modern quilts from the AQS show in Albuquerque. 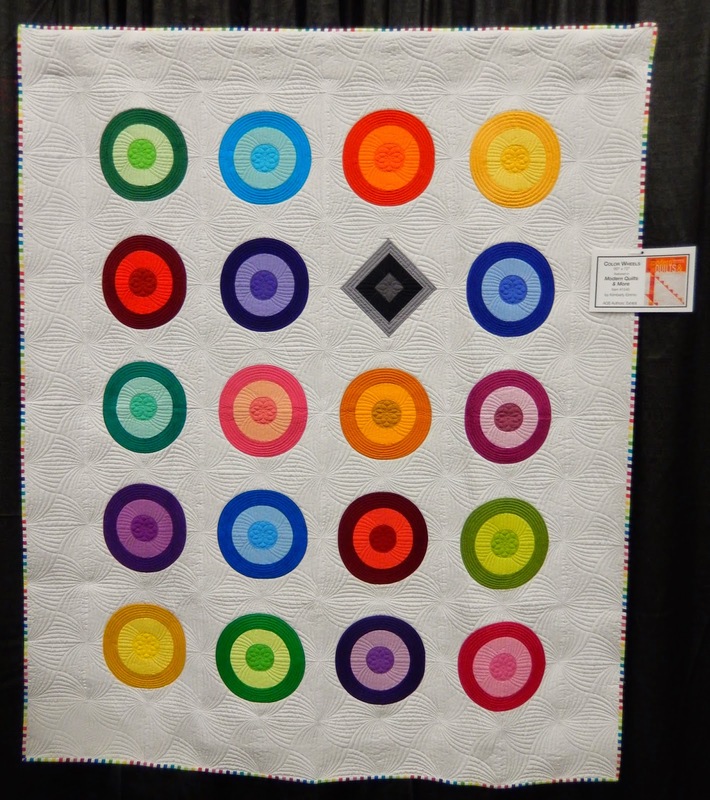 Within the AQS Authors' Exhibit, Kimberly Einmo's quilt Color Wheels from Modern Quilts & More was showcased. I appreciate the "black sheep", or rather square, in this piece. The overall quilting design is fascinating too. 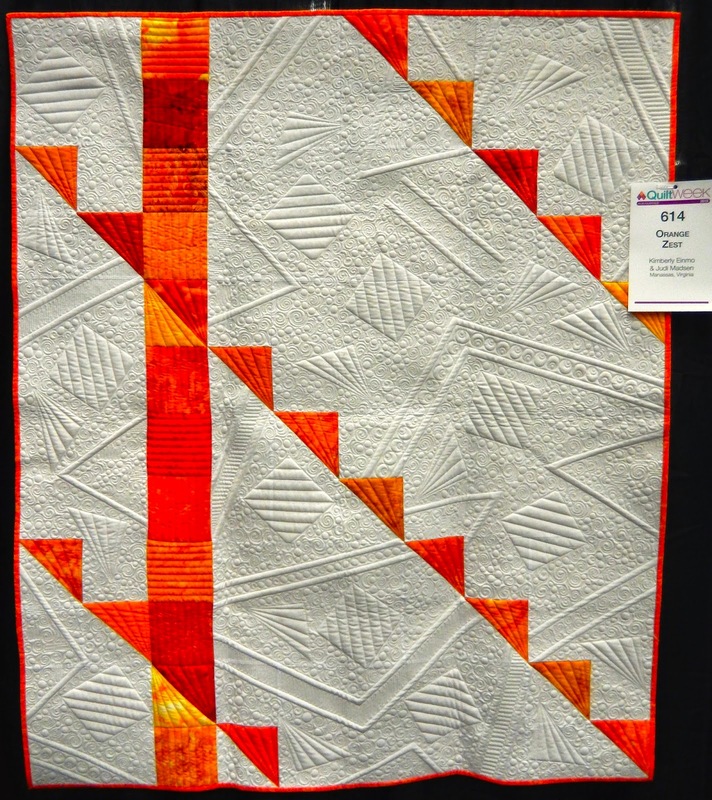 Speaking of Kimberly, here's another quilt she pieced called Fire & Ice. Judi Madsen did the exquisite and complimentary quilting. At the risk of turning this into the Kimberly and Judi Fan Page, I bring you Orange Zest. I can't resist sharing yet another of their quilts. Just look at that free-motion! I am a sucker for shadow shapes redefining negative space. Waterfall by Wilma Grubbs is a nice example of using negative space and minimalistic design. The custom quilting pairs nicely with the design. Jyl made good use of crystals, appliqué, and straight-line quilting in Firelight. The repeated improv shapes and vivid color palette make Joy visually pleasing. Doors Into Summer gives wonkiness a level of sophistication. The free-motion adds a layer of depth. Thank you Afton for sharing these pictures with us! 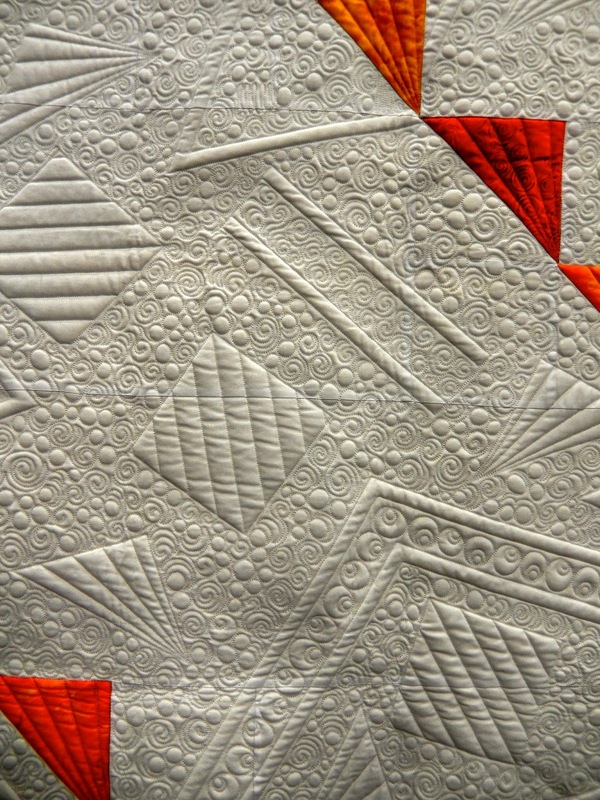 I have always been in awe of Judi Madsen's quilting! She really has a gift. These are gorgeous! 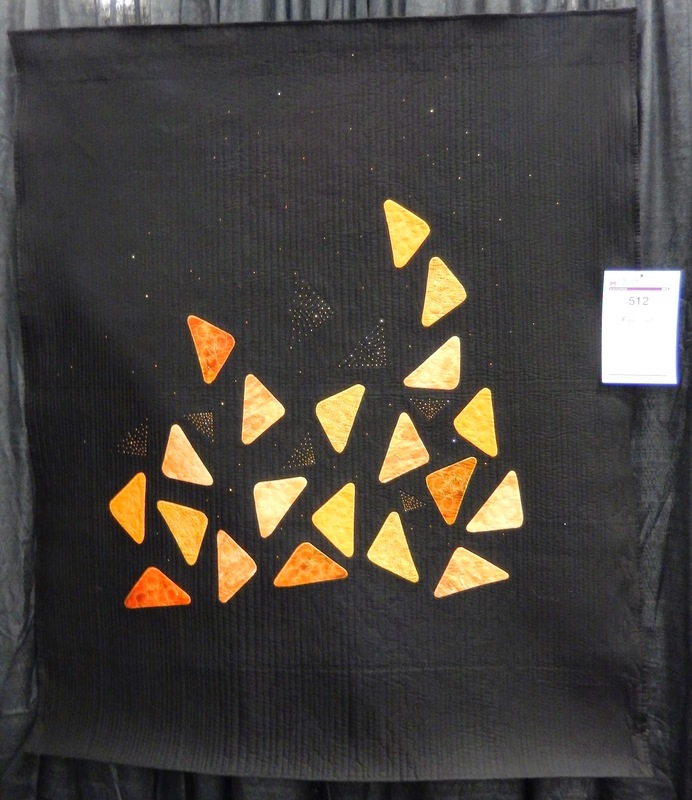 I am wondering, is there a large overlap between the entries in the AQS and Quilt Con? These are all just awesome! 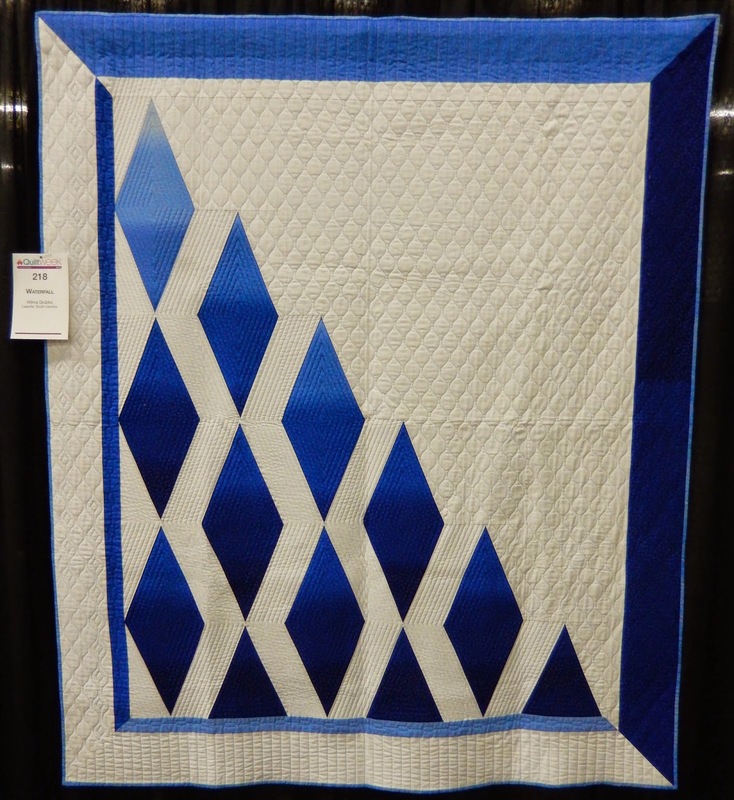 I just love all of Kimberley's quilts, and Judi's quilting is awesome, but my favourite of the ones you show is Waterfall.